David Christian, a GOP candidate for the US Senate, received endorsements today from three Pennsylvania legislators. 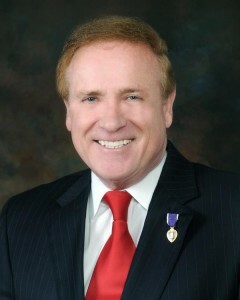 Senators Tommy Tomlinson (R-6) and Chuck McIlhinney (R-10) of Bucks County, and State Representative Tom Murt (R-152) all provided endorsements for Christian’s campaign. Christian is facing competition from several candidates for the GOP nomination including Sam Rohrer of Berks County, Marc Scaringi of Cumberland County, Tom Smith of Armstrong County, and Steve Welch of Chester County. Dave Christian all the way!! I think Dave Christian will have unexpected strength in BucksCo and will pull from the BrabenderCoxCorbett Endorsed Insider. I had a long conversation with Dave at gun show and he is independent and not a RINO. Regulations are strangling this country economic growth and Dave feels it. Dave has extensive contacts throughout the Vet community. I thought that might be the case too, but then I checked him out. Definitely NOT a RINO. McIllhinney and Tomlinson are RINOs. Must be Christian is a RINO too. This is quite the coup, after the County Party Vice Chair supported the challenge of his petitions, the sitteng senators that represent Bucks County are supporting Dave Christian. This means that the money and fundraising that is controlled by them will follow them aswell. While we have not been able to get Mr. Christian out in our neck of the woods, or even to return messages, it is heartening to see three Senators break from the party machine and endorse the candidate of their choice. The people who endorsed him and the timing of the endorsement is of importance, especially in the South East where he can get the votes to derail the endorsed campaign. That backbencher is the Chair of Professional Licensing and the Vice Chair of Appropriations. Either way, this could hurt Brabender’s candid… hmmmummmm, I mean Corbett’s candidates. Wonderful, get some do nothing back bencher like Tomlinson to endorse your campaign, thats a huge statement…..
Isn’t Dave Christian a guy we would want to elect because of his background and the fact that he has no ties to the entrenched leaches in DC and Harrisburg? Christian has the vote of this southeast girl…. take that Corbett! David Christian is the right man to send to D.C. He is a proven leader that can take on the challenges of today, and be victorious as he has been throughout his life! Check out his web sight, and you’ll find yourself agreeing with me 100 percent.